I was so pleased with the outcome of the first sleeveless shirt dress that I made a couple of weeks ago, that I wanted to repeat the success using some fabric from my stash before the Summer ended. I found some pretty Blue background floral printed quilting weight cotton that I had purchased back in 2015 from a little shop in Hunstanton when I was visiting relatives in North Norfolk. 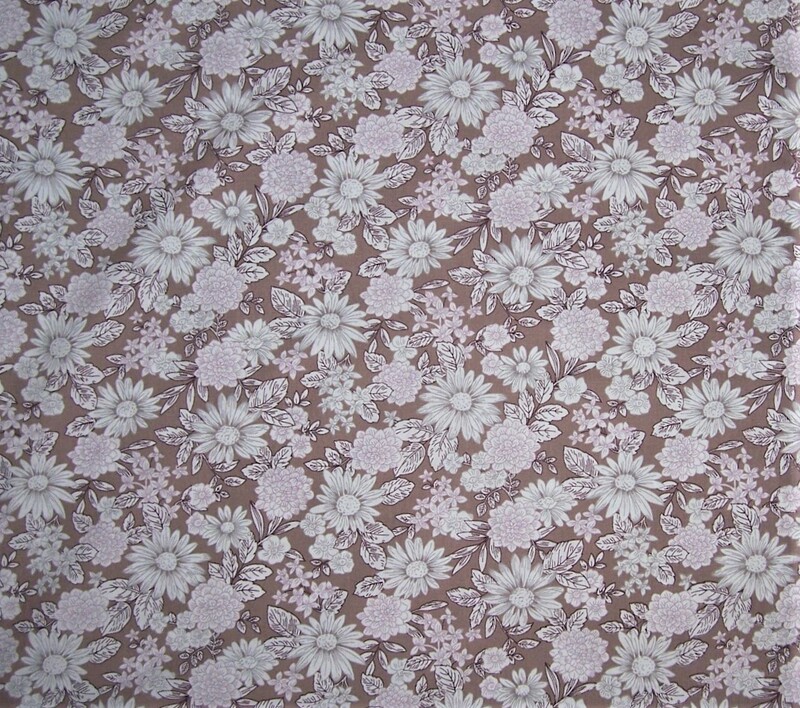 The fabric is Rue de Fleur for Fine Lines Fabric and once laundered there was 2.95 metres x 107cms wide. 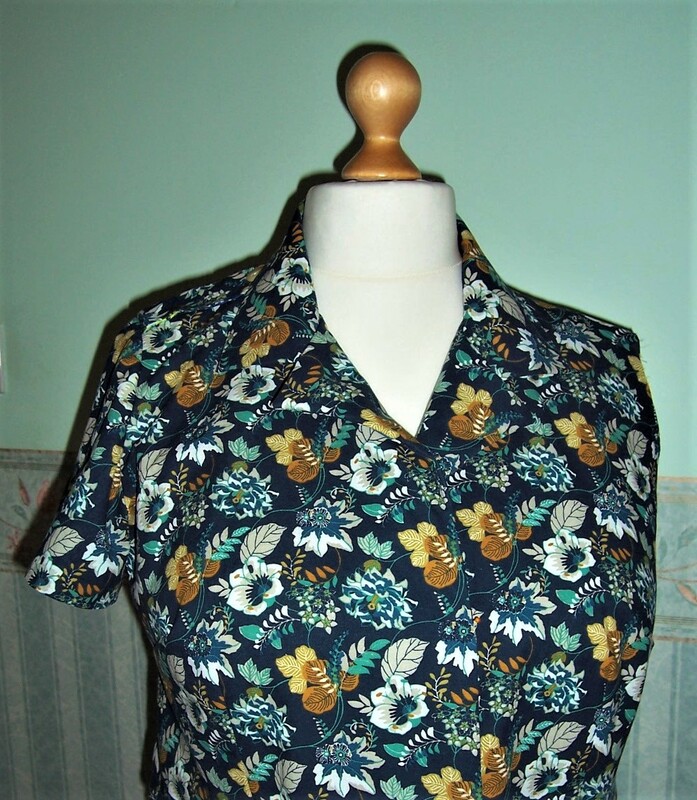 I used the same TNT bodice pattern as for the previous sleeveless shirt dress – now known as a ‘Kirstie’ as the style reminds me of Kirstie Allsop of Location, Location, Location fame (although all of her dresses appear to have sleeves). As I was a little short of fabric, this version has a skirt cut from twice the width of fabric x 29inches long which is gathered into the waistline seam. Oh and it has pockets at each side set into a slash as there are no side seams, only a centre back seam. The original bodice pattern was drafted for set-in sleeves so for a sleeveless version I remove the 5/8th inch seam allowance from the armhole before adding a bias binding. I cut the bias binding 1¼ inches wide and fold in half (wrong sides together). I then stitch the raw edges matched to the right side of the armhole using a 1/8th seam allowance. The binding is turned to the inside and top stitched close to the folded edge of the bias binding. 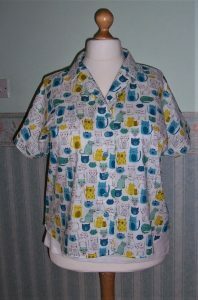 For this version I used 11 x 5/8th inch buttons set 2¼ inches apart, that I had bought from C&H fabrics in Winchester. All raw edges inside the dress have been overlocked. I folded up 2 inches for the hem which was then stitched in place by hand. I have purchased yet another jersey tie front shrug to wear with this dress and think that it will be an ideal outfit for transition to the colder months of Autumn. 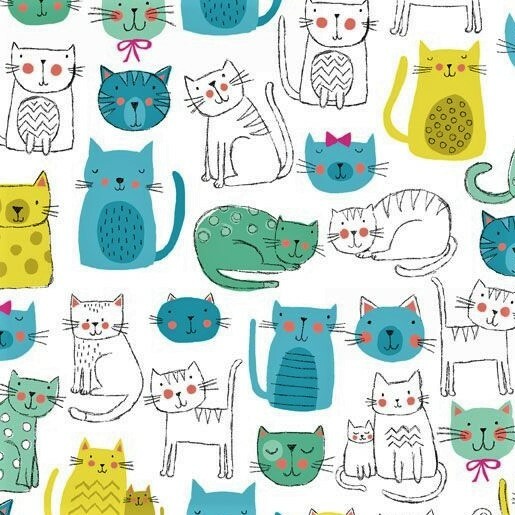 One of the many lengths of fabric purchased at the Festival of Quilts was 2 metres of a charming Cat printed 100% cotton from Fabrics Direct (1914 Kitty Cats © makowever uk). 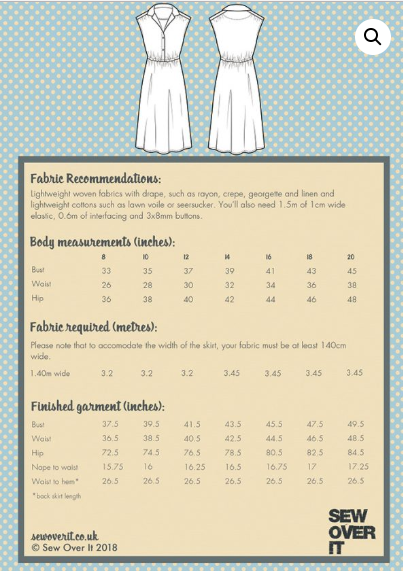 I have been unable to track the fabric down online and cannot remember how much I paid. 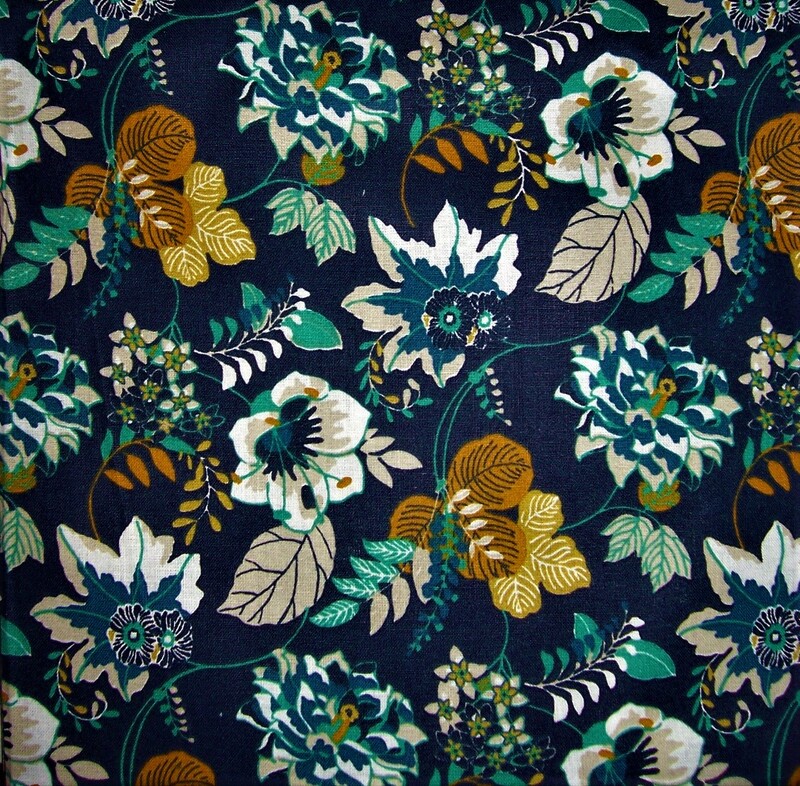 I thought this ‘frivolous’ print would look great as a Libby blouse to be worn over cut off trousers during the last few days of our glorious hot Summer and maybe even if we are lucky enough to have an ‘Indian Summer’ in September and October. 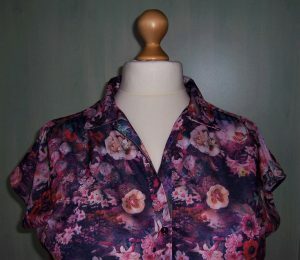 Although I was a little unhappy with the construction method for the partial collar stand of the Libby blouse I certainly liked the end result so decided to re-visit the pattern and try once again to master the construction technique. 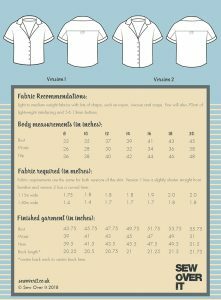 Having reviewed the pattern measurements I cut a standard size 20 but added 3 inches to the length of the front bodices, back bodice and front facings. I also combined the back yoke with the back bodice and re-shaped the armhole/sleeve edge so that it would match up with the sleeve cuffs. I retained the gentle shaping to provide a ‘shirt tail’ hemline. Once laid out on the fabric the pattern took only 1¾ yards of fabric (1.58 metres) so is a good stash buster for those odd lengths of cotton fabrics that I have in my stash. Construction was fairly simple with the exception of that darned collar stand! 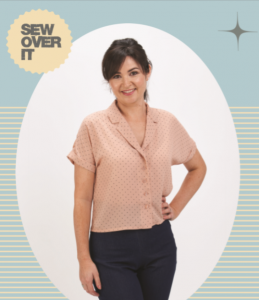 I re-visited the sew-along on the Sew Over It blog which does help to complete the method as shown in the instruction booklet. The seams are neatened with the overlocker and the shaped hems were machined in place before completing the side seams ( a trick shown by Jules of Sew Me Something). I have stitched the facings in place to prevent any ‘misbehaviour’ of them turning to the right side. The front closure is completed using 6 Turquoise spotted buttons (from C&H fabrics in Winchester) and buttonholes. I am very pleased with the completed Libby blouse and hope to get some wear out of it before transferring to my Autumn/Winter wardrobe. 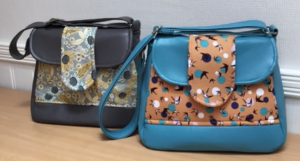 I also have sufficient fabric remaining to be able to combine with the Turquoise faux leather and make a co-ordinating saddle bag – result! As the last project took quite a long time to complete, I wanted to make a quick and easy dress in jersey. 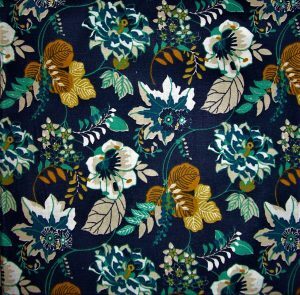 I had some lovely Viscose/Spandex stretch jersey by John Kaldor bought from Rosenberg & Son at the Festival of Quilts (4 metres x 150 cms @ £10/metre) that I had ‘earmarked’ as an early Autumn project. Now that I have adjusted the pattern to my exact requirements, the Joni dress is a ‘quick fix’ and so I cut out the pattern late one evening. I cut the ¾ length sleeves and in acknowledgement that this would be an Autumn/Winter garment, added 2 inches to the length of the skirt. 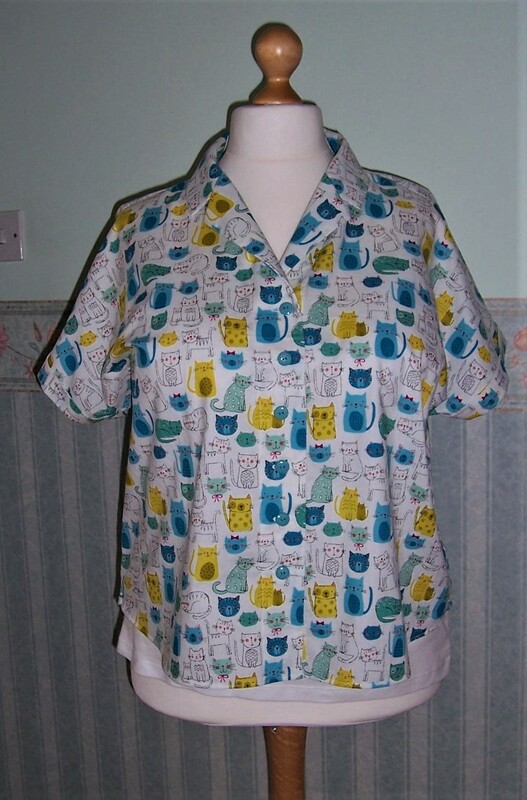 The following day I spent a pleasant couple of hours at the overlocker and sewing machine. I constructed the dress using my revised method by cutting 2 of the bodice front. I added a neckband to the bodice back before sandwiching between the front bodice and its lining at the shoulder seams. The sleeves were inserted into the flat bodice before the bodice side seams and the underarm sleeve seams were stitched in one pass. A faux cuff that measures just ½ inch was sewn to make the hem of the sleeves. The skirt panels were added before a final fitting. With jersey fabrics I always have to allow for the various levels of stretch incorporated into the fabric and this particular one is very stretchy. I had to take in the side seams from just below the armholes grading back to the original seam just below the full hip. In this way I retained the fullness of the skirt. 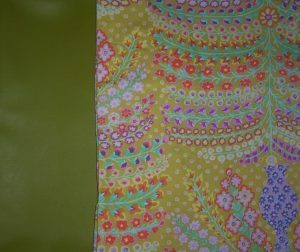 I have left the hem unfinished as the jersey will not fray and at present I do not have a jersey twin needle available. Whilst I continue to enjoy sewing with jersey and the Joni style in particular I am counting this project as a fail. 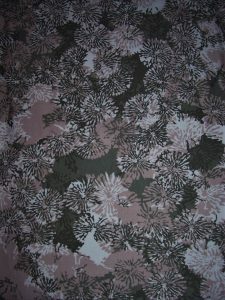 I find that the neutral tones of the print do not compliment either my colouring or figure. I have hung the dress in the wardrobe whilst I decide on its fate. and decided that I would make this as a first project for the coming Autumn season. 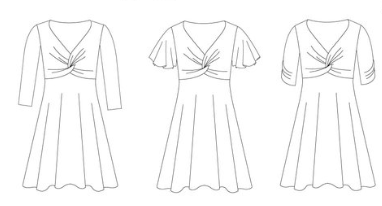 Another blogger (can’t remember who) had mentioned about making her Summer/Autumn dresses without sleeves so that when it came to adding a cardigan,shrug or jacket they would be easier to wear. When cutting out the fabric I thought that I would try this approach. I had sufficient fabric to cut large pockets for the side seams and also a pair of cap sleeves – ‘just in case’. I adapted my TNT bodice block to make a buttoned front closure. I then added a slightly extended revere together with my TNT collar which came originally from Style pattern 1441. For the skirt, I cut 2 x width of fabric x 27 inches long. I made a centre back seam and turned back 3 inches on each side for the centre front buttons and buttonholes which matched the width of the bodice front facing. I stitched the darts on bodice front and back. Then the shoulder seams and tacked the side seams before basting in a completed lined cap sleeve to see how it looked. An easy decision – sleeveless was the way to go forward. I cut bias strips of a scrap of light tan/cream polka dot cotton to finish the armhole edges. I made box pleats in the skirt and as luck would have it those pleats lined up beautifully with the side seams and darts of the bodice. As there were no side seams to the skirt panels, I cut an opening in line with the bodice side seams to insert the pocket bags before concealing them under the box pleats. A very neat solution. Now – buttons. I have an extensive stash of buttons that are stored according to colour and size but however hard I looked I could not find just the right ones. 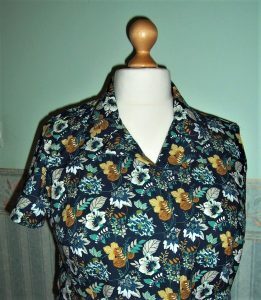 I completed the construction of the dress and took a scrap of the fabric to C&H fabrics in Winchester where I found two styles of buttons that would be ideal for the project. Decisions, decisions – I bought 16 of each style! Well, buttons are relatively inexpensive, you cannot have too many buttons and of course they don’t eat anything – just sit in the button box awaiting the right project! I made 10 buttonholes and attached the buttons so I still have 6 of that particular set in my stash. The hem of the skirt is machined in place as are the facings. 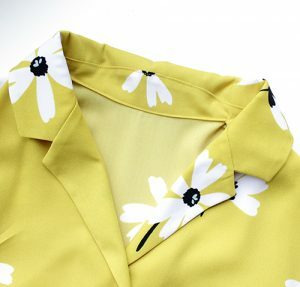 The collar and front edges of the button placket are also top-stitched. The construction took quite a bit longer than my usual projects but I am delighted with this dress which will co-ordinate well with a variety of my cardigans and shrugs. It should see me through the coming cooler months. With a long-sleeved cardigan, opaque tights and boots I believe that I will be able to wear the dress right through the Winter and into Spring 2019. We still have a few days of August left and I will be sewing just a few more garments in lighter fabrics and prints in the hope that I will be able to wear them in an ‘Indian Summer’ in September and October. 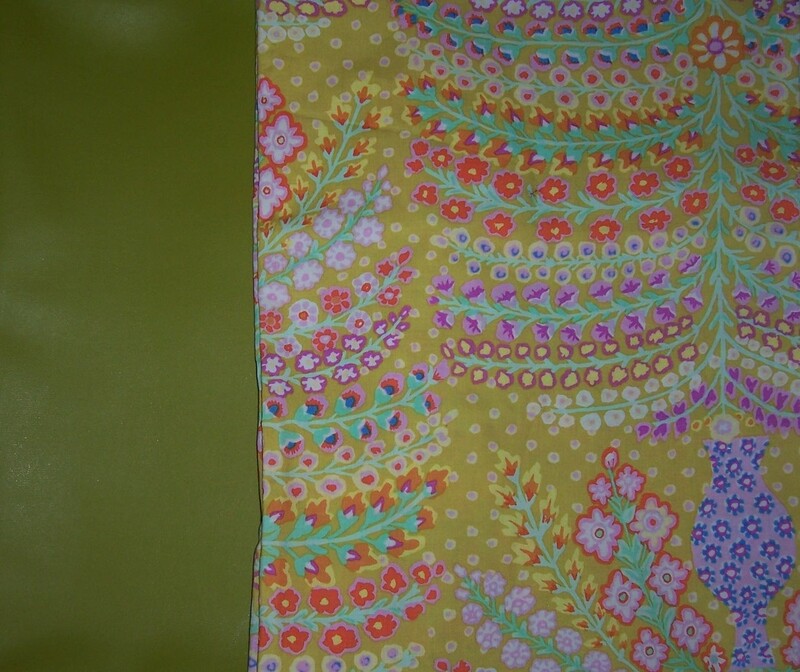 Some years ago I purchased two lengths of faux leather from Sew Hot at a very reduced price probably due to the colours of the faux leather – a Bright Turquoise and a Very Lime Green. Those that know me will also know that I am not afraid of bold colours! 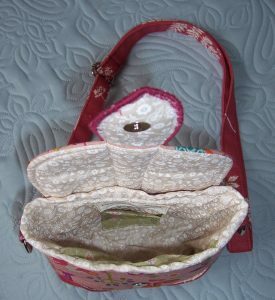 I set the fabric to one side until I could locate a co-ordinating cotton print as I had set my heart on a two-tone ‘saddle’ bag. I eventually found just the right print but in the meantime – lost the original pattern which was a cut-out from a magazine, Love Sewing I think. After a thorough search of the sewing room and a browse on the internet I came across two patterns. 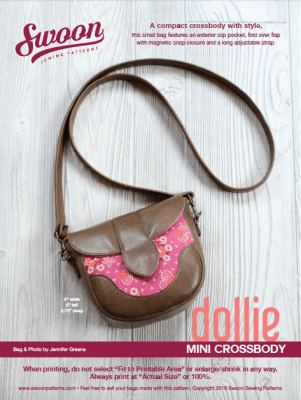 One was the Poppy bag from BoutiqueUniqueDesigns and the other was the Mollie Mini Cross body Bag. By this time I realised that I had been hoarding the faux leather for such a long time it was more than overdue to be made up. 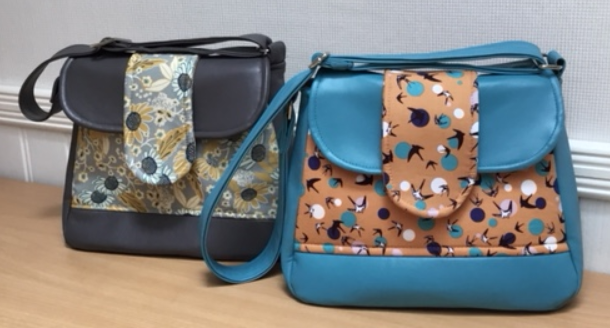 The pattern for the Poppy bag was printed off and passed to my very good friend along with the fabrics, headliner fabric wadding and hardware with a plea for her to make up the bag. 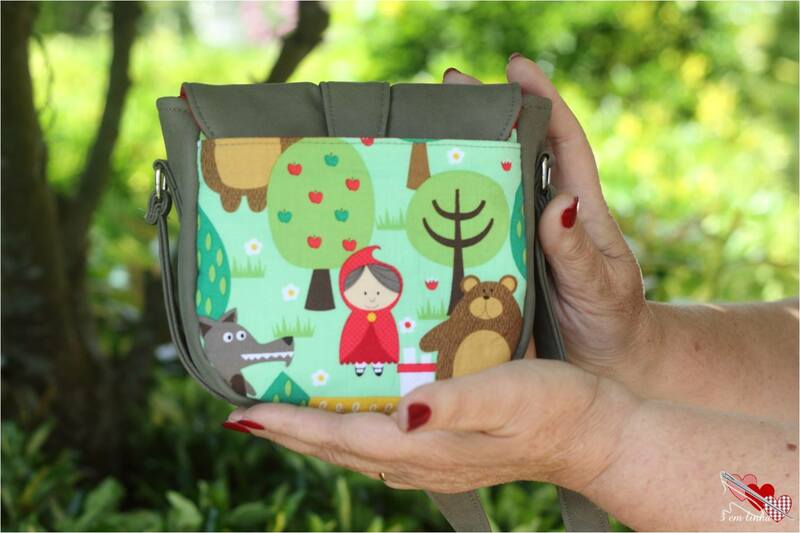 Within 4 days I received a photograph of the completed bag – along with the initial ‘trial’ bag! Wow – they look absolutely great. Now, where was I with regard to the saddlebag? The Swoon pattern looked ideal apart from just one thing – it was much too small. Full of confidence I decided to grade up from the 6inch size to something nearer 10 inches. But, I hesitate to use my lovely faux leather on something so untested. 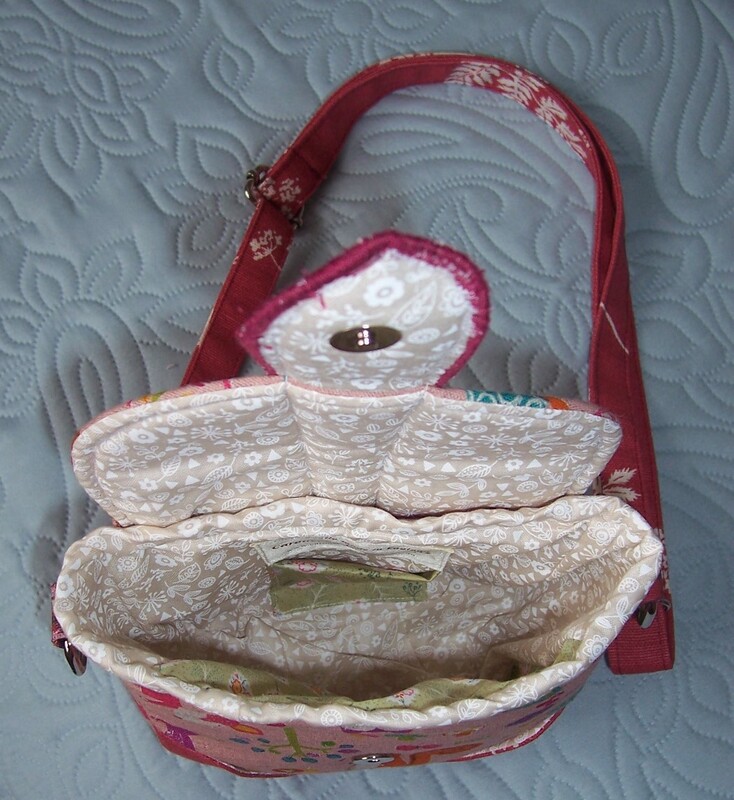 I know, I will make a trial bag using some gifted linen. I have cut out most of the pieces but once again, anxiety stepped in. 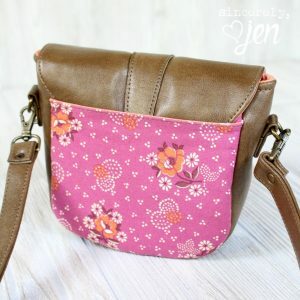 I have never made this type of bag before – I was unsure of the construction techniques. 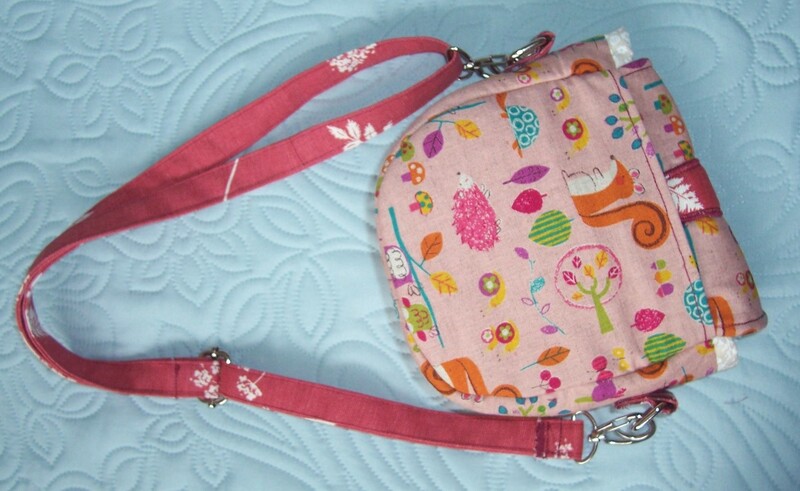 I would make up the bag to the original pattern – just to test out the various techniques and get a ‘handle’ on how the bag is put together. Fabric requirement for the Mollie Mini are very small, a fat quarter of main fabric, a fat quarter of contrast and a fat quarter for the lining plus foam wadding, interfacing and hardware. I had bought a short length of a charming linen print at the Festival of Quilts and this coordinated well with some Terracotta linen from the stash of gifted fabrics. Although the pattern calls for ¾ inch hardware, I used 1 inch as that was the smallest size that I had. Being in a rush to get on with the project I ignored the instructions for fusible wadding and instead used some leftover pieces of headliner wadding which in hindsight was far too thick for the size of the bag – will I never learn? Placing the contrast shape onto the front of the bag went well, also applying the magnetic snap to the front panel and the shaped tab. Next was preparation of the magnetic snap tab. I carefully stitched right sides together only to discover that due to the thickness of the headliner fabric, it was impossible to turn right side out. I cut off the stitching and ended up running a satin stitch around the outer edges 3 times to seal them. The end result is just about OK. When it came to assemble the bag I simply could not make head nor tail of the instructions. It was only after I browsed the finished makes on the Swoon website that the light bulb finally switched on as to how to layer up the various parts! Now it was relatively plain sailing until I had stitched the gusset to the lining front and back panels only to realise that I should have left a gap for turning. 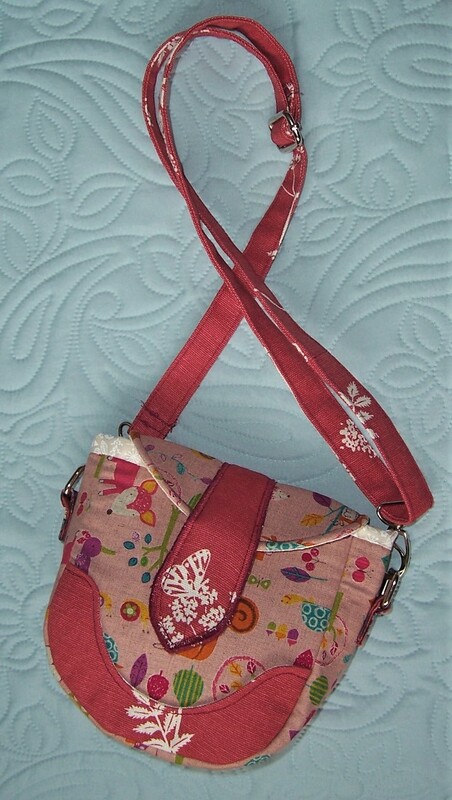 Instead, I put the lining inside the bag with wrong sides facing and applied a binding to the top of the bag. I quite like how that looks which is just as well as by now I was feeling pretty fed up with the whole project. Final analysis. 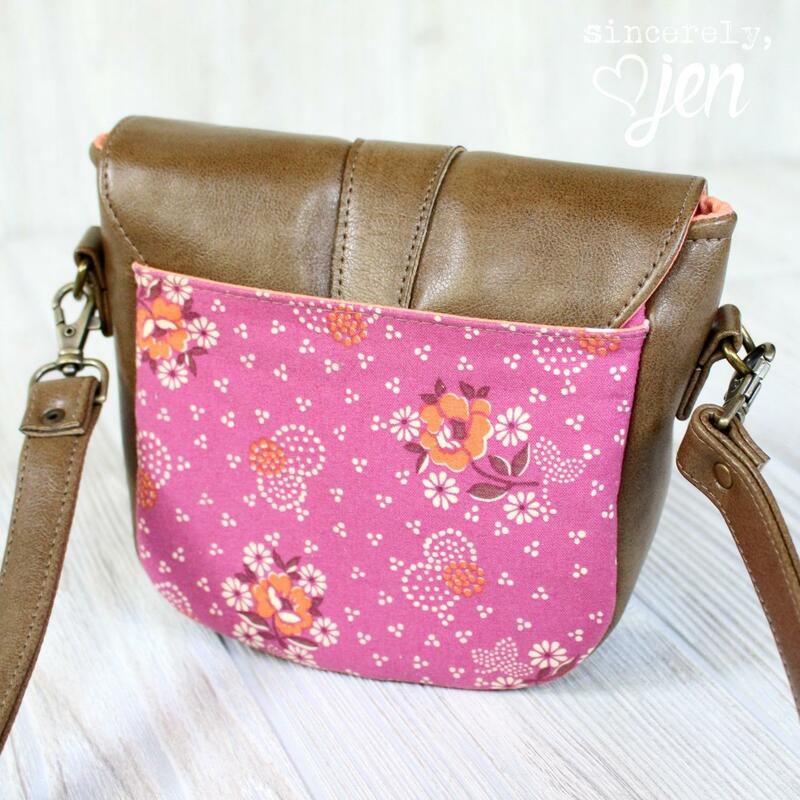 This is definitely the style of bag that I am after but I think I will leave it a while before I attempt the larger size in the linen and even longer before I make the Faux leather version. 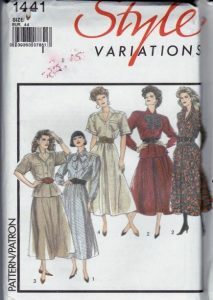 I have long been a fan of Sew Over It patterns and have several in my stash. During the meet up SEW SOUTHAMPTON a couple of weeks ago, I saw several of the ladies wearing this dress and so I decided that I would make up this style. On my return home I printed off the pdf and the instructions. 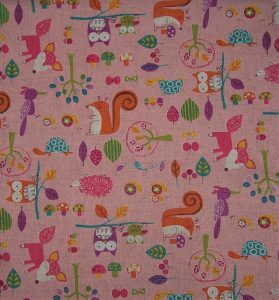 I checked my fabric stash and originally thought I would use the cotton print that I purchased in Fabricland, Southampton branch. However, no matter how I laid out the pattern pieces, they would not fit. 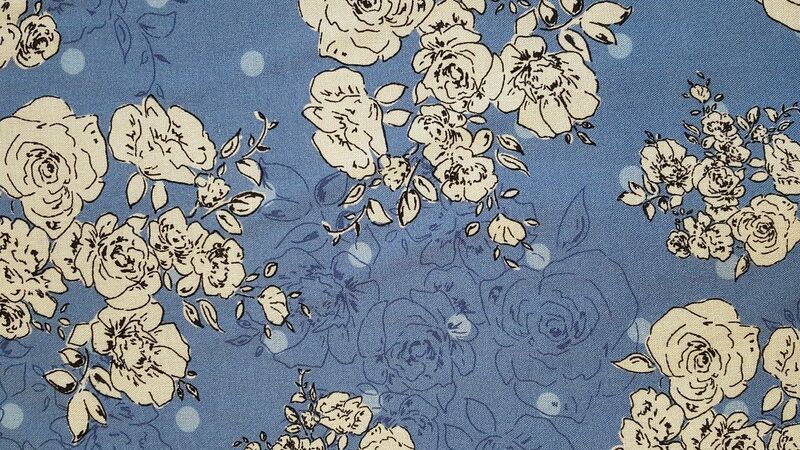 I checked the yardage requirements and following a browse on the internet ordered some beautiful Blue background floral print viscose from Fabrikate. 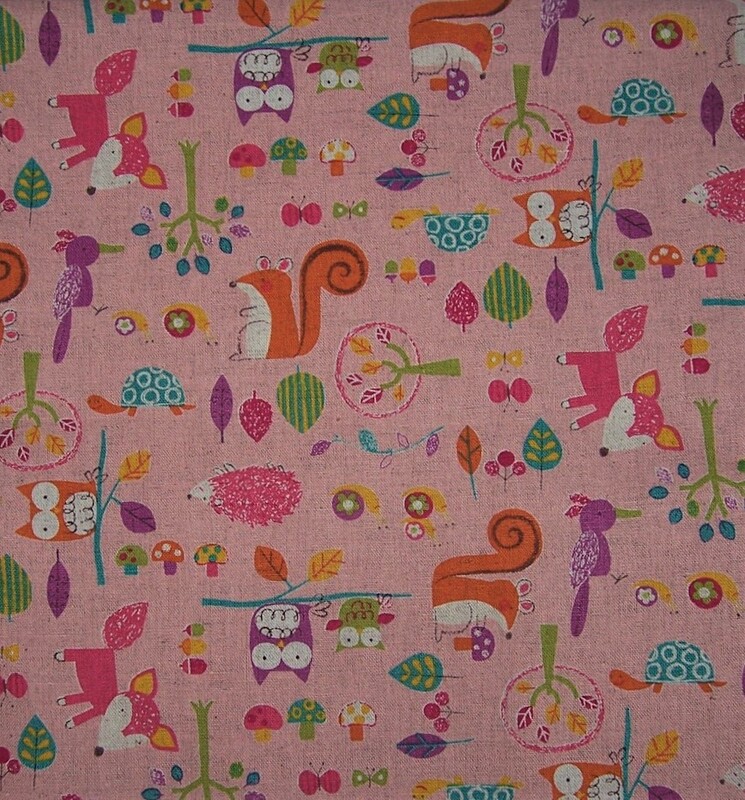 I ordered 3 metres of the 150 cms wide fabric at £4.95 per metre, post and packing free. The fabric arrived very swiftly and is absolutely beautiful. Too good infact to use for the very first ‘trial’ make of the Penny dress. 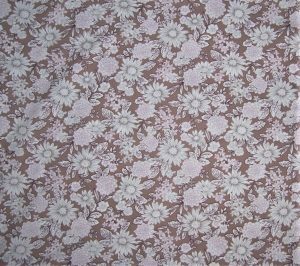 I re-visited the internet and purchased 3 metres of 150 cms wide stretch viscose JERSEY from ‘cheapest-materials-uk’ on eBay. Cost £4.95 per metre, free post and packing. As soon as the fabrics were received, they were laundered and were now ready to sew and go. 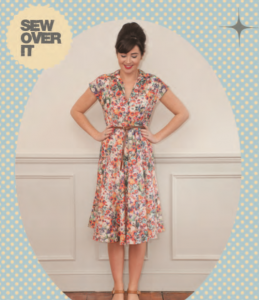 According to Sew Over It, the Penny Dress is a simple, easy-to-sew and utterly gorgeous shirt dress. Stylish, wearable and flattering for so many shapes, Penny is a summer wardrobe must-have. The pattern piece for the skirt is very large and cut on the fold – for a moment I was not sure if it had to be cut once or twice but having referred to the layout was assured that it needed to be cut only once on the fold. I had intended to add a small amount to the seam of the skirt to allow for my ‘larger than average’ waistline but unfortunately I forgot! Construction was fairly plain sailing until I got to the part where the facing is under stitched and then folded so that it forms the button placket. Again I referred to the pattern information and discovered that there was a ‘sewalong’ for this section of the dress. All was now clear and I progressed with the construction. With the thickness of the jersey fabric combined with layers of interfacing I decided to forego buttonholes. I top-stitched through all the layers of the button placket from the point level with the apex of my bust. 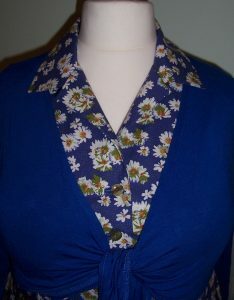 I hand stitched the buttons in place – purely for show as the dress easily goes on pullover style! 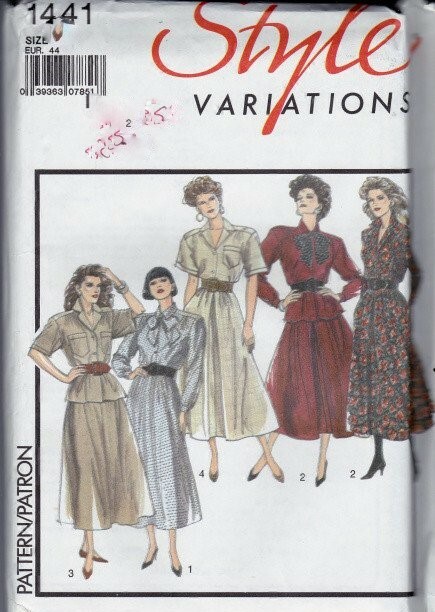 When it came to the point where the skirt is attached to the bodice, I discovered that there was insufficient width at the waistline of the skirt to match up correctly with the bodice. Ho hum, how to proceed? What I did was some gentle gathering of the bodice to fit the skirt. On completion I found that there was no need for an elastic insertion. The bodice has a slight ‘blouson’ effect and the skirt is fitted at the waist and over my hips before flaring out into the full circle. 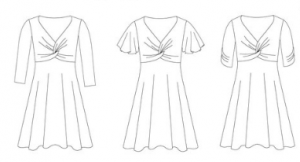 However, I have marked up the pattern to ensure that when I make up the woven viscose, there will be sufficient to have an elasticated waistline.As the fabric is jersey and does not fray, for the time being I have left the hem unstitched. I will see how it fairs and if necessary will turn up a very narrow hem and edge stitch in place. Making the dress in a jersey fabric has worked out fine. There is a lovely drape to this fabric and the dress is really comfortable to wear. 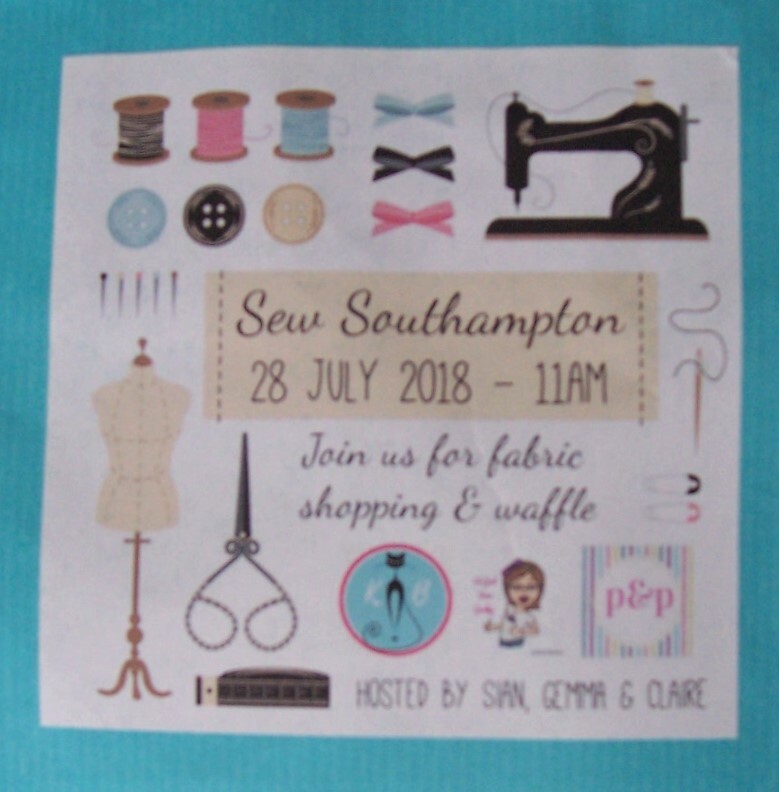 Last weekend during the SEW SOUTHAMPTON meet up I purchased just one length of fabric from Fabricland, Southampton branch. 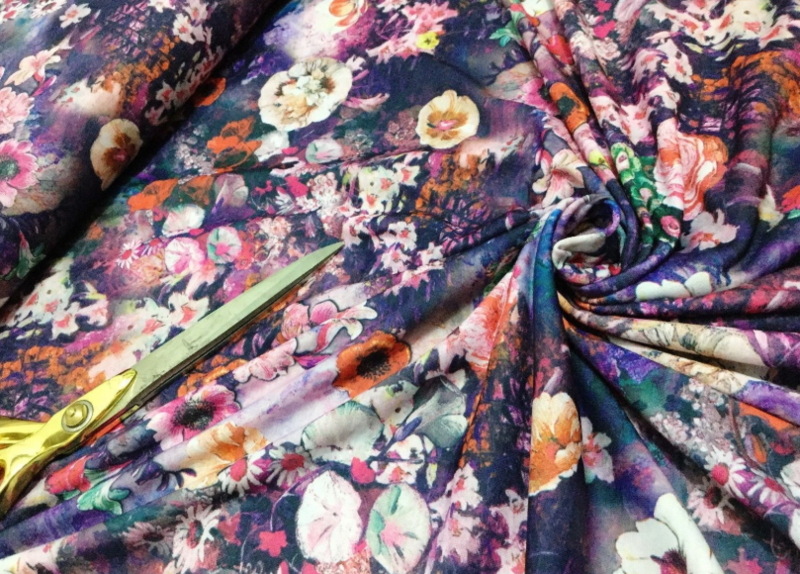 The fabric is a 100% cotton print in a floral design. The colours are much more muted than my usual choice. At the time I was not sure exactly which dress I would make so have spent a few days cogitating. Decision: I would try a new (for me) Sew Over It pattern, the Penny Dress. However, when I started to lay out the pattern on my fabric, it simply would not fit. So, Plan B:- the Libby blouse and mash it to the TNT Betty circle skirt to make a shirtwaister dress. The reasons for choosing the Libby blouse were the extended shoulder and sleeve cuff (similar to the Teddy Designer Tunic by Style Arc) and also the fact that there was a reduce-sized collar stand which I wanted to try. 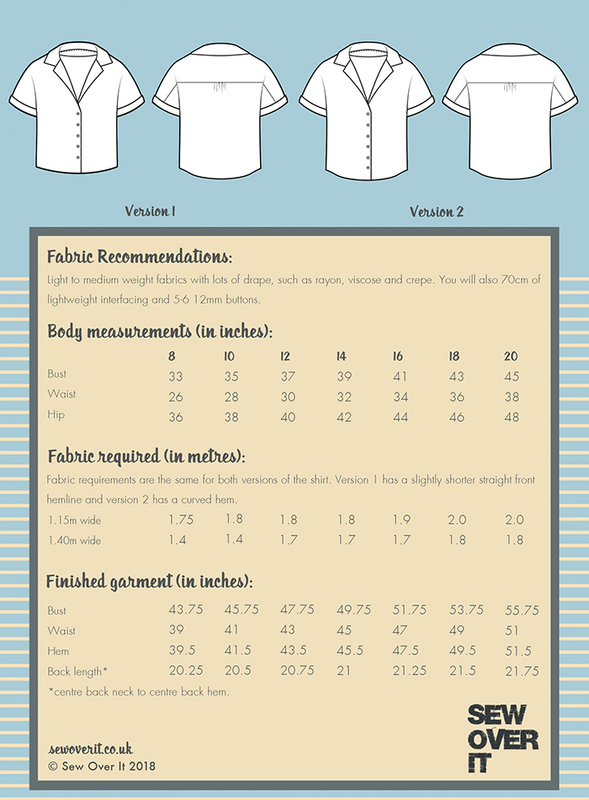 Guided by the finished garment measurements I cut a size 20 for the Libby blouse bodice. To get the correct bodice length, I measured my centre back and then added an inch to allow for seam allowance and ease. For the Betty skirt, I placed the pattern pieces at the selvedge so there would be centre front and centre back seams to the skirt. I added approximately 2 inches to the side seam allowances to ensure that the skirt panels would be sufficiently large enough to allow for the seams. I also cut large pocket bags to incorporate into the side seams of the skirt. I love pockets! The fabric was laundered last weekend so was now ready to cut and sew. I prepared the skirt pockets and stitched the panels. 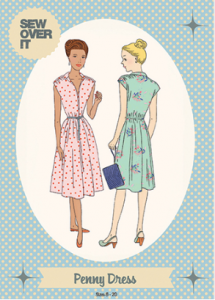 The seams were pressed open and flat, finished with the overlocker. The skirt was then left to hang whilst I continued with the bodice. The yoke was plain sailing but then it came to the collar. I tried to follow the instructions as close as possible. Unfortunately, these include colour photographs of a printed fabric and despite reading the instructions several times and taking care with transferring all the markings, I did not find collar and stand construction at all easy. For the next iteration I will do some research online to see if I can find a more easy-to-follow method of construction for this particular style of collar. The end result is fine, it just took an inordinate length of time and finessing to get it just right. The finished sleeve cuffs look good. They have been interfaced with light fusible interfacing and thoroughly pressed into place. I also stitched through all the layers of the cuffs at the underarm seam to ensure that they stay in place. A search through my button stash came up with 4 really well-matched buttons. Once the buttonholes and buttons had been applied all I had to do was stitch the bodice to the skirt and finish the hem. Despite checking the measurements of the bodice hem against the waistline of the skirt, I found that I needed to gather the bodice slightly. This has resulted in a slightly ‘blouson’ look. I am happy with this look despite the fact that it was not planned. I hope to make this style again but in a more vibrant print. 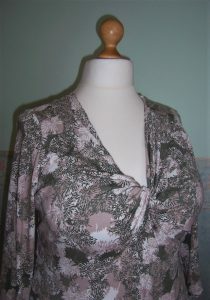 I will also extend the centre front bodice to allow for C/D cup bust. I will be wearing the dress with the Tan woven leather belt as shown in the photographs. 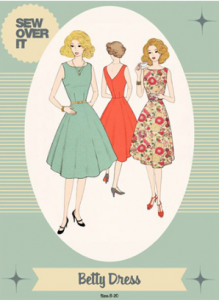 In the final analysis the dress has a definite 40’s vibe. I am not complaining but fear it may look a bit ‘mumsy’ on me so I am not sure how long it will have a place in my wardrobe.